Transportation Minister Steven Del Duca says some charging stations have been delayed by permitting processes and technical issues. 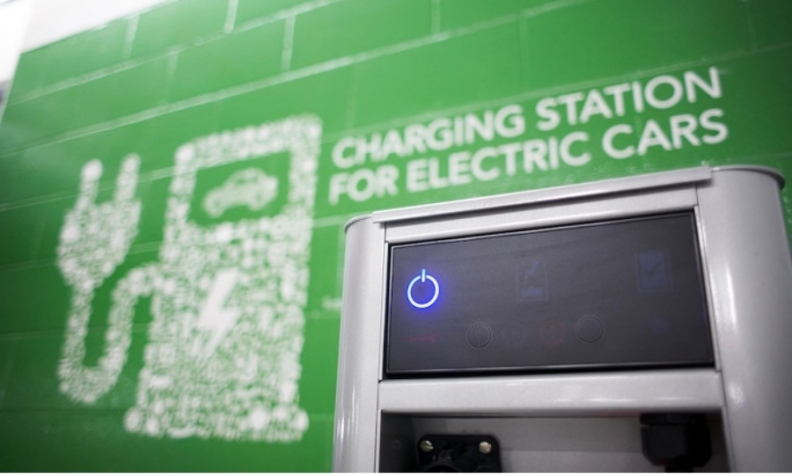 Ontario's Liberal government will miss its self-imposed deadline of March 31 to have a network of nearly 500 electric vehicle charging stations up and running. Ministry of Transportation officials say about two-thirds of the stations will be live by the end of the month. "Some of our partners have experienced delays with respect to some of the permitting processes that are required, some technical adjustments that weren't anticipated, so they're all working hard, the ministry is in fairly regular contact with them and we anticipate that the balance of those chargers will be in place by the fall," he said. NDP Leader Andrea Horwath said she's not surprised the government didn't meet its target. "You shouldn't be making these promises if you can't fulfil them, that's the bottom line," she said. "Let's be realistic with what you're able to achieve." The Progressive Conservative transportation critic didn't waste an opportunity, when asked about the charging stations, to make mention of more bad electric vehicle optics. "I think the focus for (Premier) Kathleen Wynne was handing out $14,000 rebates to owners of Teslas, while they really should have been focusing their time and energy on ensuring that the infrastructure for electric vehicles has actually been rolled out," said Michael Harris. The government introduced maximum rebates for electric vehicles last year, but in February it removed a $3,000 cap for vehicles that cost between $75,000 and $150,000. That means that buyers of vehicles in that price range, such as new Tesla models, are now entitled to the full rebates of up to $14,000, the same rebates available to lower-cost electric vehicles. Del Duca said a map on the ministry's website showing where the charging stations are installed should be updated in the next few days.